We recreated the website with a complete new look. With a modern, interactive, and intuitive design, the website offered an enhanced performance. This B2B solution can be easily customized based on the requirements of different brands at any point. With this B2B solution, the companies can rebuilt their old system to make the ordering process much smoother. Reports & Admin Control, My Account. 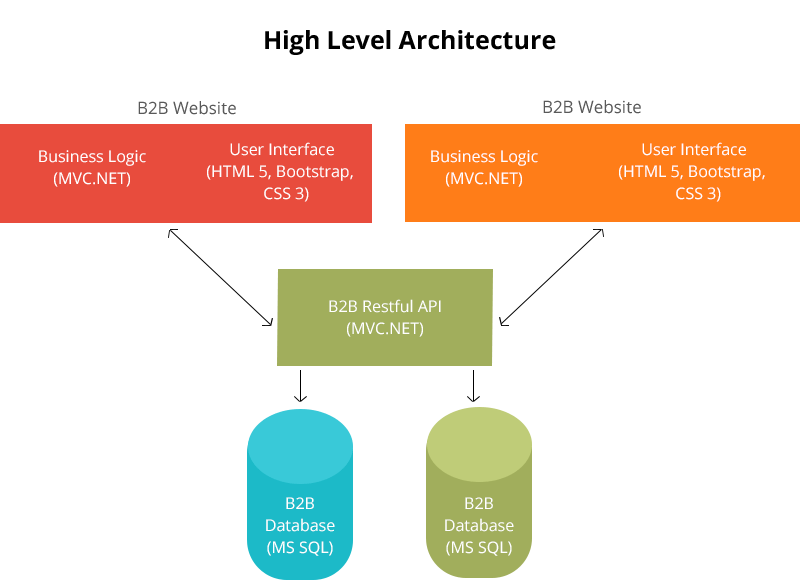 This B2B platform provider for different businesses, provides a web interface to manage the ordering system for their vendors. The platform we worked on, needed to be redesigned with the latest technologies and modern user interface. We needed to rebuilt it with better features and enhancements. Keeping fixation of functionalities and business flow in mind, we created a unique platform that supports a range of businesses and provides better service to each of them. We created a website with a complete new look. With modern, interactive, and intuitive design, we designed a website that can be conveniently customized for a variety of brands at any point. 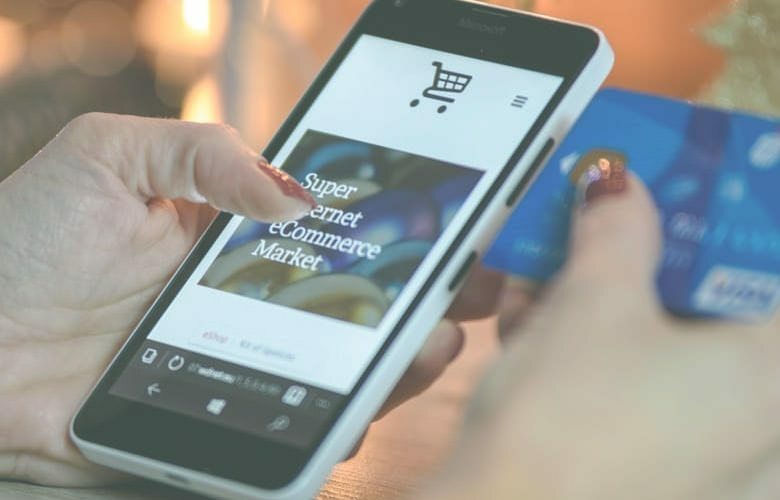 Several companies can easily rebuilt their old system and create a website that makes the ordering process much smoother with improved performance. 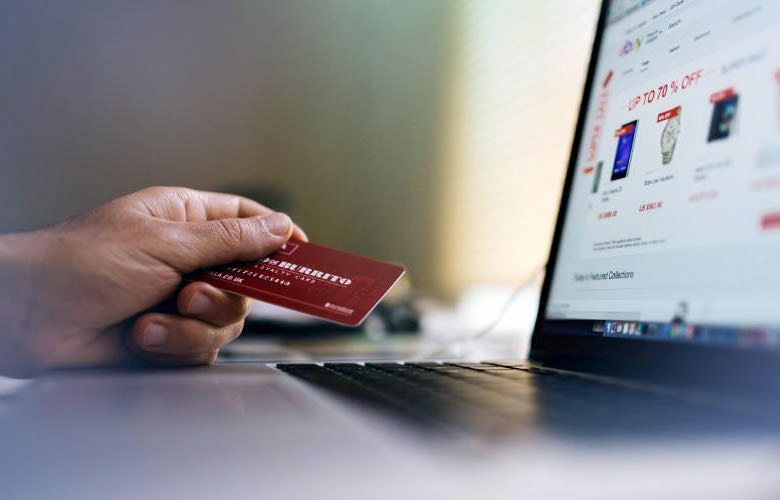 Sales reps. or retailers of the brands can Login to the system or can register into the system using the registration code supplied by that brand. User can browse through different catalogs and departments to view the available products with the help of their stock availability details. users can also view the details about any product from the catalog. In here, the user has option to put the desired quantity for any chosen product and their selected variants while browsing through. User can search for any product by their name or SKU number with text search. They can also search for multiple products at a given point of time throughout the catalogs. The sales program is an exclusive feature that can help in improving customer engagement. The user can select any program which offers special discounts based on the conditions and requirements set by the admin. User can add any number of products and also add their variants to the order. Based on the availability and the customer specific permissions, the order easily gets placed. This will show the details of the currently added products with their quantities per variant and allow the user to edit the order items. User can save an order with a specific name for future use. This would allow the user to pull that specific order with all the items and quantities and repeat the order if needed. This section lists all the orders which were placed or saved. The orders get categorized with different statuses. User can view the details of the orders, get print out of it as well as can get a copy on email. Also the user can copy any existing order to create another new order. This section allows the user to view different documents and offline order forms available for specific customers. The user can also download the forms and documents from there. This feature allows users to fillup the Offline Order form which is available on the download section from their computer and upload it directly. In this manner the order directly gets processed. 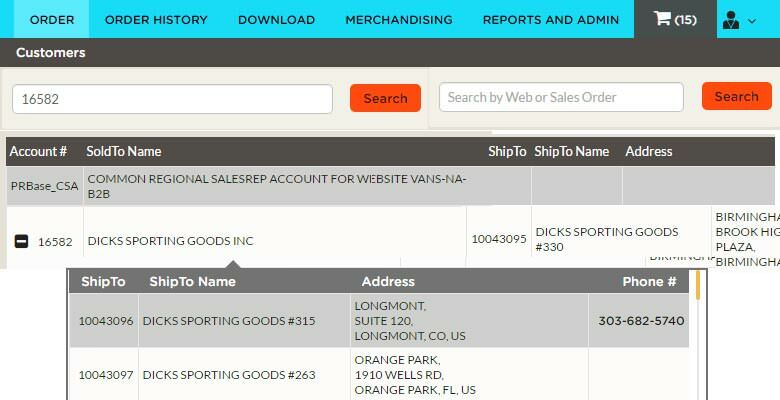 By simply putting the SKU and quantities, the user can add the items to the current order instantly. 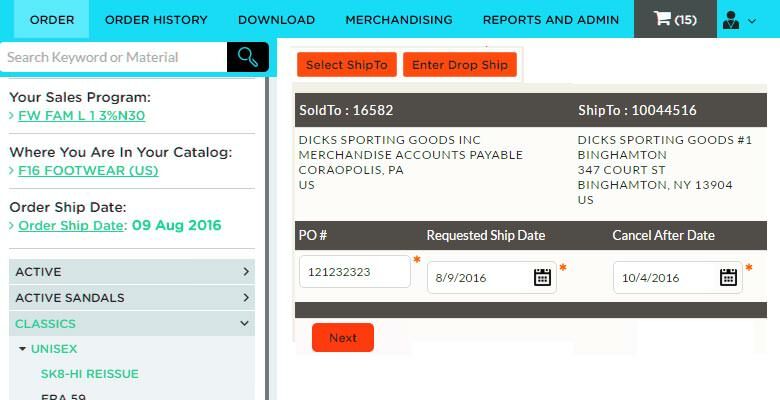 This feature allows the users to select items and place order for a specific future date with a delivery option. 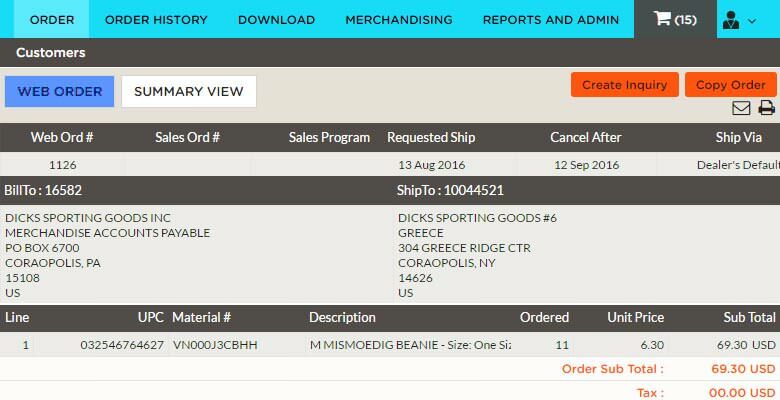 The delivery date is set by the administrator based on the catalog. 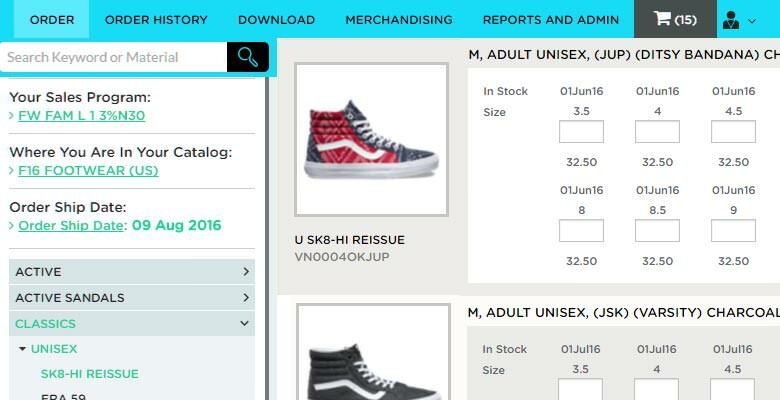 This feature allows users to select products from the catalogs and bring them on a worksheet tool and create customized Catalog. The feature lets the user to get the print out of the catalog or directly send it to any customer for review. The customer can review the Catalog and send it to the user to process the order directly. This section lets the users to manage their accounts, to set the notification options for order placements, and to change the default shipping/billing addresses. The website is successfully launched after 1 year of the development. The dedicated team of DreamzTech has already developed a comprehensive solution. It has been deployed for different existing Brands that were using the B2B platform. The website is also being deployed for several new brands replacing other B2B systems. Our development is still in progress as a number of additional brand-specific functionalities and features are continuously getting implemented to enhance this platform. We have developed ecommerce platform with Magento and implemented the Magento Porto theme. We have introduced secure payment with Authorize.net.